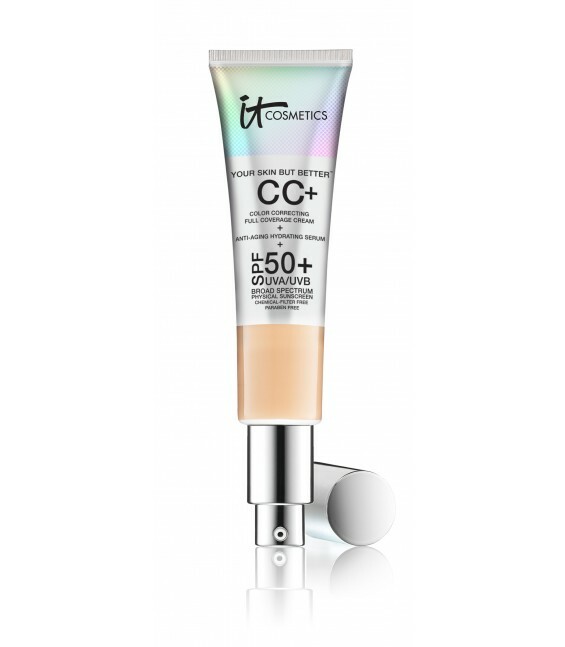 This is a great CC cream, with awesome ingredients and a high SPF 50+ UVA/UVB Physical only sunscreen that doesn’t flash back makes this such a win for me! It’s so creamy that I have found it has to be set with a powder or else it transfers. I like to set it with Cover FX illuminating loose powder and can get an all day no break down wear out of it. I like that it doesn’t settle into fine lines and as the day goes on I feel like it looks so natural as it melts into the skin. It’s great for full coverage but you can sheer it out easily by applying less or using a damp beauty blender instead of a buffing brush. My only complaint is the shade range is pretty limited. There are only 5 shades: fair, light, medium, tan and rich. They list Medium as the most popular. I wear light and find it to be a good match although it’s undertones are different than my skins are. I notice that before it’s blended in but not after. I do think though that in this day and age of beauty I think that it’s crucial to have a global shade range and I hope IT gets up to speed with that. Next WHICH BIODERMA IS RIGHT FOR YOU?? ?